The CHAIRMAN. The question is on the amendment offered by the gentleman from Texas (Mr. PAUL). The CHAIRMAN. Pursuant to House Resolution 411, further proceedings on the amendment offered by the gentleman from Texas (Mr. PAUL) will be postponed. 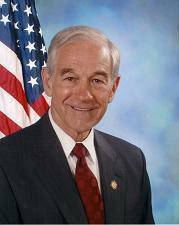 Ron Paul demands a recorded vote on his amendment, which was discussed in 1998 Ron Paul Chapter 41 and 1998 Ron Paul Chapter 42.